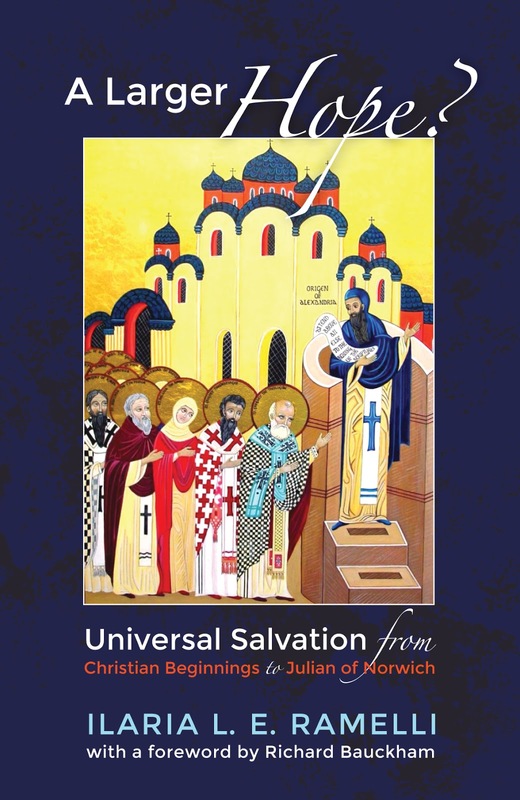 In the minds of some, universal salvation is a heretical idea that was imported into Christianity from pagan philosophies by Origen (c.185–253/4). Ilaria Ramelli argues that this picture is completely mistaken. She maintains that Christian theologians were the first people to proclaim that all will be saved and that their reasons for doing so were rooted in their faith in Christ. She demonstrates that, in fact, the idea of the final restoration of all creation (apokatastasis) was grounded upon the teachings of the Bible and the church’s beliefs about Jesus’ total triumph over sin, death, and evil through his incarnation, crucifixion, resurrection, and ascension. Ramelli traces the Christian roots of Origen’s teaching on apokatastasis. She argues that he was drawing on texts from Scripture and from various Christians who preceded him, theologians such as Bardaisan, Irenaeus, and Clement. She outlines Origen’s often-misunderstood theology in some detail and then follows the legacy of his Christian universalism through the centuries that followed. We are treated to explorations of Origenian universal salvation in a host of Christian disciples, including Athanasius, Didymus the Blind, the Cappadocian fathers, Evagrius, Maximus the Confessor, John Scotus Eriugena, and Julian of Norwich. Andrew Louth: “May we hope for the salvation of all? In this compelling work, Ramelli demonstrates with careful scholarship and immense learning that there is indeed a tradition—sometimes hidden, sometimes manifest, rooted in the Scriptures and the conviction that all being is created by God—that embraces this larger hope that all beings will find their destiny in God." Mark Edwards: “This large yet lucid volume is not only a recapitulation, in somewhat more popular terms, of the author’s monumental study of apoktastasis, or universal restoration, in early Christian thought; it carries the story forward to the middle ages, adds material on annihilationism, and digests the author’s previous work on the meaning of the word aionios into an appendix—all with an unmatched command of primary sources and scholarly literature." David Bentley Hart: "Ramelli’s larger project on the status of universalism in the history of Christian thought has already altered the scholarly landscape in many absolutely crucial respects; this indispensable book adds a great many vital dimensions to that project, and adumbrates still more revelations in volumes to come. We are all very much in her debt." Frances Young: "Is universalism an aberration in Christian theology? Definitely not, according to this remarkable assemblage of material. This book is strongly recommended for effectively trouncing the misconception that philosophy or heresy was primarily responsible for the universalist view—rather it was a widespread way of reading Scripture." is Full Professor of Theology and K. Britt Chair in Christology at the Graduate School of Theology, SHMS (Thomas Aquinas University 'Angelicum'), senior visiting professor at major universities, and elected Senior Research Fellow at Durham University (for the second time), at Erfurt University, Max Weber Center (within a Research Award from the Humboldt Foundation), and Fowler Hamilton Fellow at the University of Oxford. This looks like another great contribution to the Universalism debate. It is still almost impossible to talk/teach/preach this in church without profound misunderstanding. I hope her book and other books on this subject can help the pastor who is inclined to agree with this theological view, to bring this to bear in a local church context without pitchforks and witch hunts ensuing! No one will have it in stock for a wee while. It is still being proofed and then it must be indexed. It is difficult to say when it'll be out because Ilaria has been ill and this has delayed the process by about a year. I would say early 2019 is realistic. Thank you for the heads up. . . . Richard Bauckham? Is he a universalist? He is not. But he's not hostile. Any update on when the book will be released? I'm seeing conflicting dates, on Amazon and the publisher. W&S says that volume 2 (???) was to be published 3/15/19. I'm confused. Can you shed any light? Ilaria's ill-health and heavy work schedule have led to many long delays on this project. She will have finished the proof by the end of June. That is a REAL deadline. I am expecting the book out in August. I wrote vol. 2. It covers a different time period. From the Reformation to the nineteenth century. I was not expecting it to come out before Ilaria's volume, but the many delays on that one made it so. However, the two books stand alone. You do not need to read 1 to read 2.